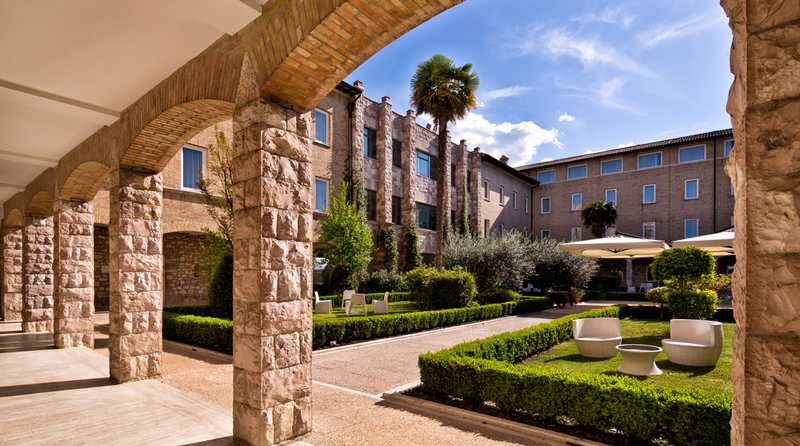 Not only hospitality and professionalism, but also setting for special events, Hotel Cenacolo Assisi is all this and more, thanks to the added value provided by the ability to provide spaces for ideas and innovative solutions. Multiple advantages of a location with a modern conference centre that can accommodate meetings, incentives, seminars, conferences, fashion shows, product presentations, team building and training courses. Our food & beverage service brand Assapora, with a range of customizable menu, from the typical Umbrian cuisine to Italian and international cuisine, through a careful search of fresh and genuine products enhanced by the expert touch of our chef. Catering services outside customizable. Our proposal is very rich in events: in addition to the spaces of our structure, two large dining rooms, the cloister and the rooftop bar, we have selected many other locations, the historic building, the foyer of a theatre, the museum, ancient monasteries, villas and farmhouses to historians, local wineries very characteristic for your corporate event or private party. From the large to the small business agency, from the group of friends to the couple, we are able to respond to any need. Fittings with painstaking attention to details, unique recipes with quality ingredients, impeccable service.